Matthew Holm at Wordstock 2012! Hi all! Sorry for the lack of updates lately. 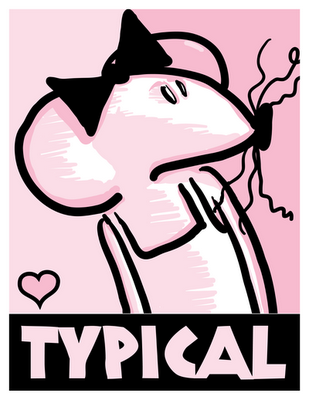 But I wanted to pop my head in and let you all know that I will be at Portland's Wordstock Festival this weekend! I will actually be MODERATING the panel on Sunday, asking Tad Hills, John Skewes, and Renee Watson deep and probing questions about creating books for children. Yes, it's finally the day that Babymouse announces her candidacy! 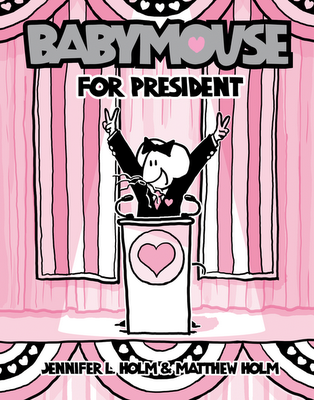 In this, her 16th book, Babymouse is running for student council president. But so is Felicia Furrypaws! And ... her locker??? Does Babymouse have what it takes to sweep the election? Find out, in BABYMOUSE FOR PRESIDENT! On sale TODAY! SQUISH: SUPER AMOEBA on WTNH TV, Connecticut! The lovely and fabulous Katie Davis was kind enough to mention SQUISH: SUPER AMOEBA on her book segment for WTNH TV in Connecticut. Check out the video! The thing that surprised me the most was that the answers, as I saw them anyway, were not insane, drastic measures that companies would need to take. These are all within the grasp of comics publishers and retailers. Obviously the cultural preconceptions are difficult to change, but with the other three being adjusted, that would come eventually. It just takes actually considering women of any age a viable market for comics. I cannot speak strongly enough about how interrelated I think women and children readers are and how both are extremely important to the future of comics. Women make 80% of the retail purchases in America. EIGHTY PERCENT. And that means that more often than not, if a kid is shopping, it’s with mom. So if the comic industry wants to have a future and hook readers young, they need to target both women and children. If a woman is reading comics, she’ll be more likely to let her kid read comics. And if a kid is raised in a house where one or both parents read comics, I think we all already know that he or she will be more likely to read comics. Kids who never know comics exist are going to have a hard time finding them when they’re at an age that most superhero comics are geared towards. And even better in all of this is the fact that if mom reads comics, she’ll have no problem with her daughters reading comics, which increases the future female readership of comics as well as just the future male readership of comics. There’s no loss here for the comics industry. It just takes foresight. Creating more comics for kids and women, making sure they know they exist, and making sure they’re accessible could genuinely change the future of the industry. Some publishers are already doing a great job making stuff for one or both (Top Shelf and Archaia both leap to mind). We just need a greater segment of the industry to take those demographics seriously. Janelle says, quite compellingly, what so many people have been saying for so long. The Big Two need to change if they're going to survive. 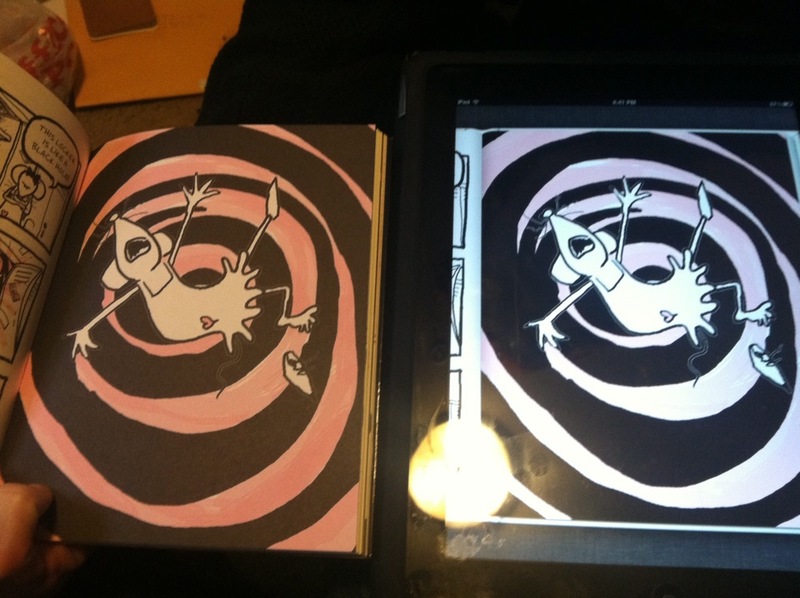 But for reasons unknown, they never do—and comics sales decline every year. I wonder if it's a parochialism, where they are simply not INTERESTED in catering to anyone who is not exactly like them, or if it's simply the fact that comic books have always been such a skin-of-your-teeth kind of enterprise (all the creators barely scraping by on pittances; everyone falling behind deadline; everyone just trying desperately to finish the book/page they're working on RIGHT NOW) that no one over there has made it a priority to take a break, breathe deep, stop working, and really THINK about the future, and how they can possibly sustain their business if they keep selling to the same 30-somethings (now becoming 40-somethings, and soon becoming 50-somethings...) without ever engaging new markets and new readers. Whatever the reason, things have gotta change—for good or ill. The American comic book industry started out as a way to reprint syndicated strips and milk extra cash out of existing material. 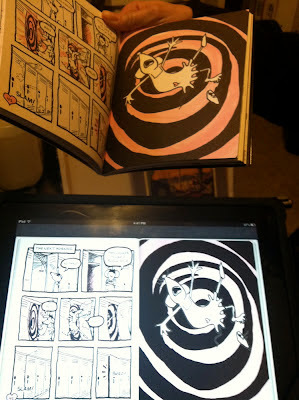 That worked, but comic book publishers quickly used up all the strips available. To keep the ball rolling, publishers commissioned new material, but they didn't want to pay more than they did for reprint rights, so new material was made for low pay under confiscatory rights conditions. No artist or writer wanted to be a comic book creator -- everyone wanted a syndicated strip, where the big money was. Therefore, comic books wound up with second-rate creators who couldn't make it in the big leagues, hacks, the rare significant talent who passed through on his or her way to greater things (Jules Feiffer comes to mind) and the occasional solid craftsman or even genius who arrived in the comic book biz for whatever reason and stuck with it. Back in the early, big circulation days, publishers got lucky a few times with great properties created despite the lousy compensation and working conditions, creations that struck a chord -- Superman, Batman, Captain Marvel and others. Mostly super heroes. Comic books had a great advantage with super heroes back when film special effects were limited, and low-res, limited budget TV was best suited to talking heads. Later, a few more successes came along, also created under adverse conditions for the talent. Spider-Man, the Hulk, Wolverine...you know. It's amazing how the initial conditions affected things for decades to come, and explains some weird quirks of the industry—such as the insanely low pay and completely strange ownership/royalty setup (i.e., unlike traditional publishing, most comics creators don't get royalties if their works get reprinted; they get "bonuses" that are not in any way equal to traditional publishing royalties), which developed because the comic book publishers were used to getting content basically for free; also, the weird thing Stan Lee apparently had about caring far more about having a syndicated newspaper feature than creating all those comic books (because comic books were the shlock ghetto for creators, and people who "made it" were in the newspapers). As I believe I’ve said earlier in this blog, Stan had a special reverence for syndicated strips. And “real” magazines. Not that he didn’t love the comic books, it’s just that when he was a kid, the strips were huge and prestigious while the comic book business was where one scratched out a living until his or her strip got picked up by a syndicate. Anyone who aspired to becoming a syndicated strip creator changed his or her name for work in lowly comic books, hence, Stanley Leiber became Stan Lee. Same logic applied if one hoped to publish a “real” magazine or write the Great American Novel. Never mind that comic books had made Stan a cultural icon, and he had brought comics to unprecedented status in the New Cultural Order. He never lost his veneration of syndicated strips.